Reading at grade level can be a challenge, the facts are that as many as one in three students have difficulty. As text becomes increasingly complex, these struggling readers fall further, and further behind. Many fail or drop out. At BrightFish Learning, we believe this cycle can be changed. That’s why we’ve designed BrightFish Reading to make grade-level content more accessible – so students can master curriculum standards and become better readers. BrightFish Reading is an online program for grades 2-10 that deconstructs grade-level passages into manageable chunks. In sequential, scaffolded activities, students “construct” the text, moving from words and phrases up to full passages. They build word recognition fluency, vocabulary and higher-order comprehension skills while practicing with on-level text that is relevant and age-appropriate. Students choose from a wide range of fiction and non-fiction passages aligned to standards and Lexile® measures to accurately match readers with grade approproate texts. Teacher-created audio and video feedback provides ongoing instructional support. And as students work through the program, they earn points that can be redeemed for fun rewards. 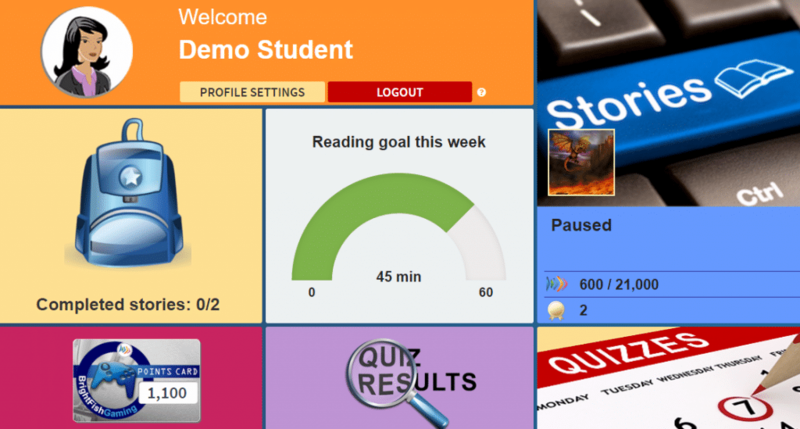 BrightFish Reading uses structured practice and gamification in a unique process that can help your struggling students master grade-level passages in days instead of months. These links might interest you. Try BrightFish Reading In Your Classroom!